Can We Stop Calling It “Medication-Assisted Treatment”? Medication-assisted treatment, or MAT, is credited with helping countless people achieve long term recovery from substance use disorder. The term is usually used to refer to treatment for opioid addiction with methadone, buprenorphine (aka Suboxone) or Naltrexone/Vivitrol. It is also sometimes used to describe treatment for alcohol use disorders with meds like Antabuse, Baclofen, Naltrexone, etc, though this is not always the case. While calling treatment with the aid of medications “MAT” is certainly well-meaning and an improvement on the anti-medication belief system that long dominated the field, it has the unintended consequence of further stigmatizing an already highly stigmatized population. It also relegates certain medications to “other” status and implicitly suggests that their use makes the recovery of anyone who takes them less than the “true” recovery that happens without the assistance of medicine. It is time we stop referring to treatment and recovery involving medications as anything other than just plain treatment and recovery. To be sure, the use of medications in addiction treatment has long been controversial topic. This dates back to the days of Synanon, the originators of the first “therapeutic communities” that, at the time, offered some of the only help to people with drug addictions. They pushed the belief that a person could not be on any mood-altering substance and still consider themselves to be “sober.” Synanon groups especially maligned the “liquid handcuffs” of methadone maintenance, but their prejudice extended to antidepressants and antipsychotic drugs. You can just imagine the world of pain inflicted on the poor souls with co-occurring addiction and schizophrenia who found themselves in a Synanon program and were told to stop the one medicine that kept their hallucinations at bay. Interestingly, the anti-medication stance was never held by the original 12-Step community. Think about it – the founding members were a physician and a man with treatment-resistant depression! They were always avid supporters of using cutting edge medical treatments to help people achieve recovery. The official view of Alcoholics Anonymous is clearly laid out in the General Service document, “The AA Member – Medications and Other Drugs”, which clearly states that “no AA member should play doctor” and that taking medicine as prescribed can be a vital and necessary part of a person’s health and recovery. It wasn’t until programs started to discriminate against people on certain medications that this view seeped into the larger recovery community. Methadone remained the only sustainable FDA-approved opioid agonist medication until 2002, when treatment with buprenorphine, the active ingredient in Suboxone, was approved as part of the DATA 2000 Act. This legislation allowed buprenorphine to be prescribed in settings other than OTPs (aka, methadone clinics), meaning patients could now go to a doctor’s office and receive a prescription for a month’s supply of medication at a time (or more). This relieved the huge burden of going to a methadone clinic every single day for the first several months of treatment, and it reduced the stigma associated with being a patient of a methadone clinic. At the same time, the treatment and support that buprenorphine-prescribing doctors were required to provide were not clearly defined. This led to the publication of TIP 43: Medication-Assisted Treatment for Opioid Dependence, and the introduction of the term, MAT. Part of the intention of this term is to highlight the fact that MAT is not just offering a patient a medication and then walking away, it involves comprehensive psychosocial supports, behavioral therapies, and medical care. Mark Perrino, president of the American Association for the Treatment of Opioid Dependence, argues that this is a necessary aspect of what is called, “MAT” and that the term is specifically defined by the presence of these supports. As someone who has worked on the frontlines of opioid addiction treatment for many years, he disagrees that by eliminating the term we would achieve the desired effect. It seems quite logical that adding comprehensive supports and psychosocial treatment to buprenorphine maintenance will improve outcomes, right? Well, recent research has called this into question. 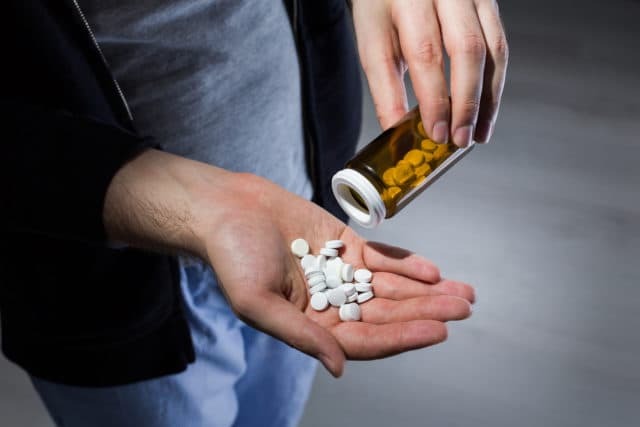 No fewer than four recent studies have found that adding even high quality psychotherapy to medical management of opioid addiction with Suboxone does not improve outcomes. A separate study showed that replacing the usual counseling in methadone treatment with a computer-based intervention actually improved outcomes among patients. Granted, these studies show that outcomes among people with opioid use disorders are not necessarily improved by additional treatment – but they say nothing about the impact of therapy and supports on a range of mental health disorders and housing or social needs that may be experienced by people seeking treatment. Still, if treatment for opioid addiction only required additional support some of the time, would we then need to call it, “medication-assisted treatment”? The recent spate of high-quality studies that showed no added benefit of various types of additional counseling led Mark Willenbring, MD, founder and CEO of Alltyr Clinic, to ask if we shouldn’t call it, “Treatment-Assisted Medication”? The simple fact of the matter is that abstinence-based treatments for opioid addiction just don’t work. We tried for decades to make traditional rehab using the Minnesota Model work for people with heroin addiction, but all we got were increases in the likelihood of overdoses and unnecessary deaths among patients who are leaving a residential setting. Adding medicine to these programs has had an enormous impact, and now more and more patients are finding that the residential portion of treatment might not even be necessary if they have adequate access to medications. The best part of the growing debate on effective addiction treatment is that we are finally acknowledging that one size does not fit all – what works for one person may not necessarily work for another. This also means that we should stop requiring that everyone who seeks treatment must also accept intensive group therapies, structured psychosocial supports, and other treatments, whether they want and need them or not. As we move away from the segregation and siloing of addiction treatment, away from the rest of the medical field and move toward integrating behavioral health services into primary and specialty care, we will be trying novel ways of improving the health and lives of people with opioid addiction. But, if that treatment involves medication, therapy, housing, or some combination of all three, why must we call it by a different name and relegate it to the outskirts of the recovery community? After all, do we call diabetes treatment insulin, “Medication-Assisted Treatment”? Or using statins for heart disease, anti-depressants, or an inhaler for asthma, “Medication-Assisted Treatment”? Of course not. Why hold opioid addiction to such a different standard? It’s time to rethink the way we talk about treatment – let’s start here.